LifeShine Coaching and Consulting, Inc.
Around the globe, it’s standard practice to celebrate the incoming year. 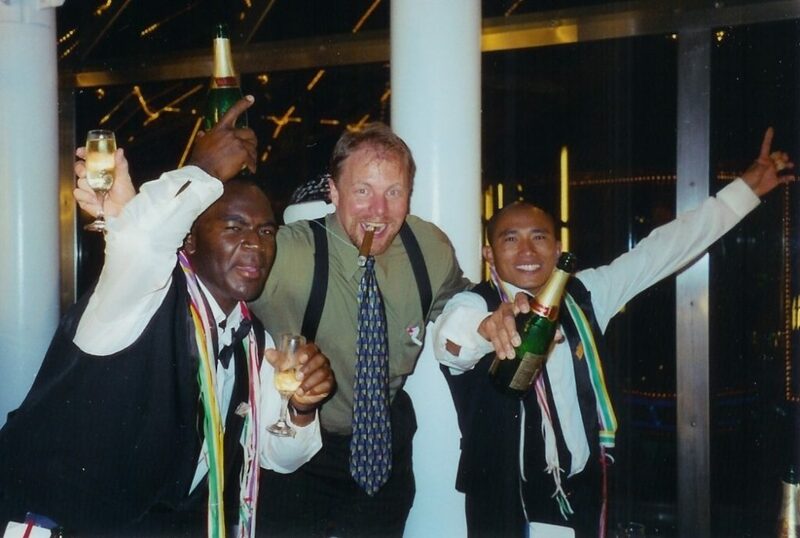 I love this shot above of my husband Bill at an epic New Year’s Eve celebration on a cruise ship deck over a decade ago (if you listen closely, you’ll hear Kool and the Gang’s “Celebration” blasting in the background!). 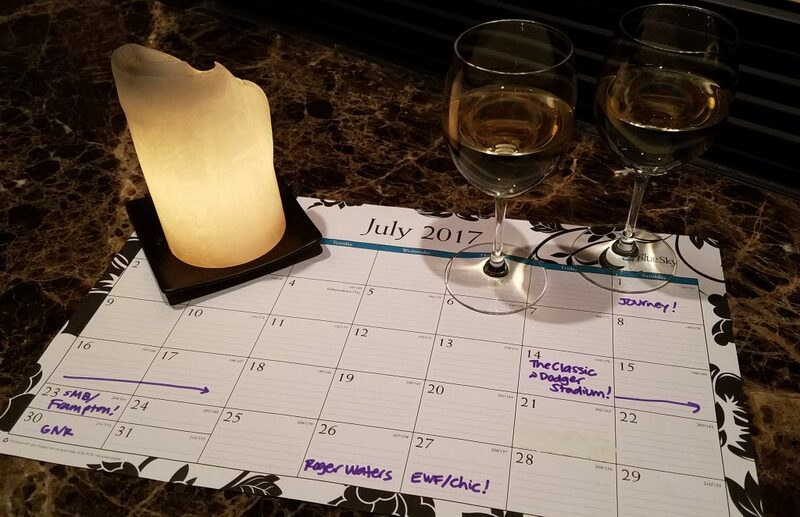 Once the party is cleaned up, though, every expert in town will tell you it’s time to get going with your resolutions, goals, and intentions for the year. And that’s good advice. But it can get overwhelming, too. Instead, here are a few smaller exercises that can help you ease into the upcoming year. These brief and simple exercises are designed to help you keep the focus and ensure you’re taking steps in the right direction. Which one below resonates with you? Or maybe they all do? Give it a shot and try ‘em out! Think of a word or phrase you would like to have as the cornerstone or focus for 2018. Here are a few examples I’ve heard from clients in the past: “Simplicity”, “Balance”, “Only the Best”. Once you land upon a word or phrase, let that be your guide for decisions you make and ways you ‘show up’ to life. Have fun with this one! And you can always do it with family, friends, or co-workers to create more purposeful and meaningful conversation. A favorite quote by Sandra Sharpe: “What do you pack to pursue a dream and what do you leave behind?” Think of a suitcase, literally, for 2018. What is a non-negotiable item that must be packed and brought along with you? For example: Self-care, boundaries, spiritual practice, exercise, etc. And which items are important to leave behind and not bring with you into the new year? For example: Self-doubt, comparing yourself to others, checking the phone too much, etc. We sure put thought into packing for a trip…how about doing that for life in general? Stephen Covey encourages us to begin with the ‘end in mind’. So, imagine that it’s December 31, 2018 – the end of this next year, and you feel goood about your year and all that has unfolded. What does it feel like? How does it look? What are you happy about? Then, decide what needs to happen – between now and then – to ensure that you have that good feeling next December. The more you focus on the end in mind, the more likely you are to actually create that reality for yourself, beginning now. As Albert Einstein said: “Imagination is everything. It is the preview of life’s coming attractions.” Cheers! One final and important tip: Before you do too much thinking and planning about this upcoming year, be sure to pause and celebrate 2017. It’s important to honor the good stuff, as well as the not-so-good stuff. When you can come from that place of gratitude (for the past year as well as current reality), you create beautiful space for all kinds of wonderful things to unfold. Here’s to a fantastic 2018. With love! © 2003–2019 LifeShine Coaching and Consulting, Inc. All Rights Reserved. Minneapolis, MN. WordPress Theme Modification by iDesign Studios.